Since I’ve created the QGIS plugin qgis2leaf I was surprised how easy it is to create a plugin for QGIS. In this post I would like to show you how to build a basic buffer-plugin and give some tips for debugging and developing. 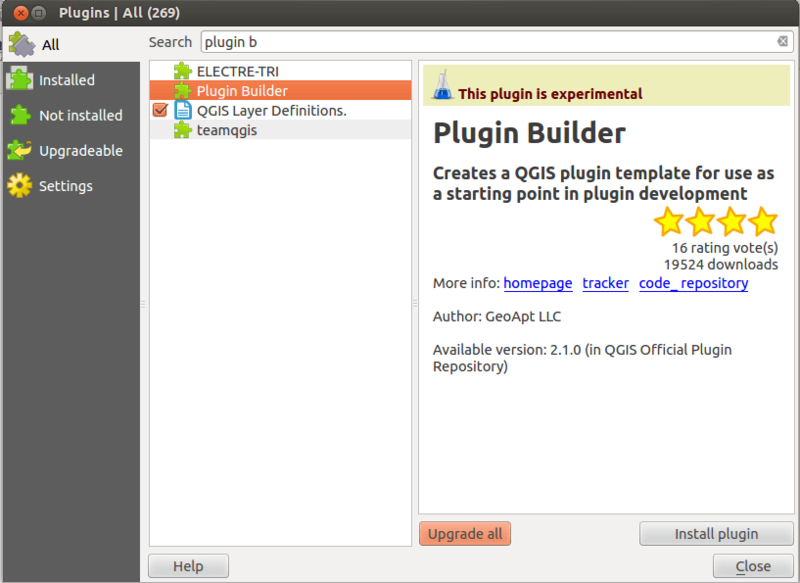 plugin is available in the qgis plugin dialog. 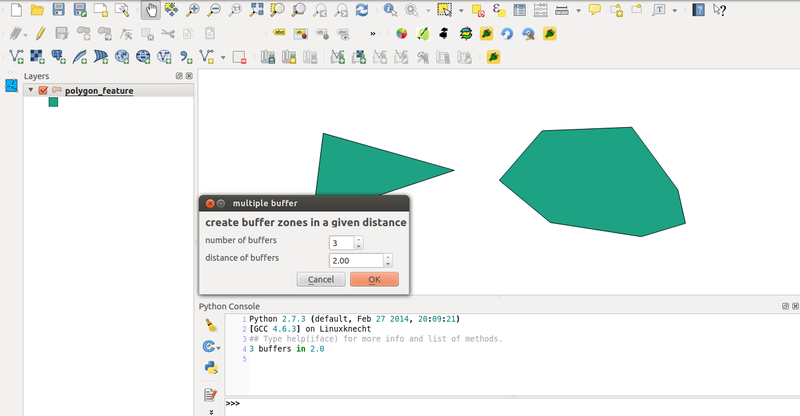 In our first example we would like to place some logic in the plugin: with the normal methods provided by QGIS it’s easy to create a buffer around a feature. But what, if you want several buffers that are equidistant from each other like 5 buffer zones in a distance of 10m? A classic example of batch processes and automation. After customizing the UI we will care about the logic to get the parameters from the UI and use it in our plugin. To test the functionality it is very important to have the Plugin Reloader plugin installed so you don’t need to close and open QGIS after each change of the logic. Compaing the code we have a structure called dlg wich holds all the dioalog elements and a structure called iface which refers to the current qgis environment as far as I have understand it. But like this it will crash at loading as the current python script doesn't know the <em>QgsVectorLayer</em> function. 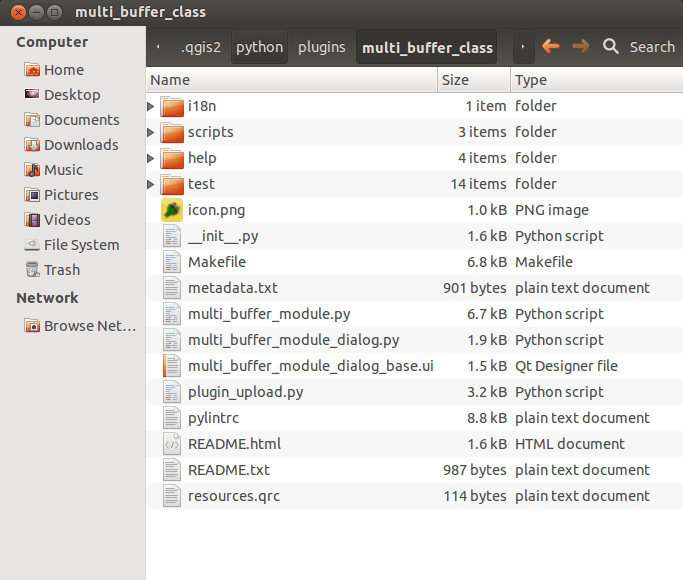 So scroll to the top of the file <em>multi_buffer_module.py</em> and import the library qgis.core by adding  where all the other imports are placed. As you may have noticed, the buffer functions needs two inputs. First the distance, second the “segments”. Segments define the number of segments a quarter circle have. So the higher this value your circles will get rounder but also computation will take longer. But one last remark: As we don’t convert your input files to a projected coordinate system at the beginning, make sure your layer is in a projected CRS at the beginning ;-). You can download the whole multi_buffer. Some further remark: If you want to extend your plugin and you don’t know what functions/methods are available for your object, just determine the name of the object and search on the API page of QGIS for it. So it’s “easy” to see that the EPSG code of a crs of a layer is available by the method .authid(). If you have any remarks, feel free to comment below!